We offer below the first part of the in-depth article El gas de esquisto y la neoestrategia de EE.UU (Shale Gas and the Neo-Strategy of the United States) by Fernando Liborio Soto, which was published on the website of the Instituto Español de Estudios Estratégicos (Spanish Institute for Strategic Studies – IEEE) of the Spanish Ministry of Defence. We wish to thank the IEEE for kindly allowing us to publish this article and, in particular, its deputy-director, the Spanish Navy Captain, D. Ignacio García Sánchez, for his help in making this possible. Next week, we shall publish the second and final part of the article. After the end of the Second World War, the United States (US) focused its geostrategic efforts on Europe, to the detriment of the Pacific region. Following the break-up of the Soviet Bloc, the United States is seeking to redefine its strategy in the Pacific where a potentially powerful competitor has appeared in the form of the People’s Republic of China. In order to achieve this, two hurdles must be overcome. First, is the emergence of jihadist terrorism which respects no borders and, second, continuing US dependence on Arab oil. Nonetheless, the decline of Al Qaeda and the withdrawal of the ISAF from Afghanistan, together with the Arab Spring, have brought about a change of setting for jihadist terrorism, now more towards the Maghreb-Sahel strip. Since Europe is the closest western region, the US could be spared some of the problems in this regard, although this would require a redefinition of some aspects of NATO. Then again, the US dependence on Arab oil might be affected as a result of findings recently published by the International Energy Agency, which could reorient its strategy towards the Pacific. However, if the reiterated hypotheses in the report are borne out, the possible repercussions in the Middle East, where Israel is America’s chief ally, could stand in the way of the American neo-strategy. The driving force of evolution and progress, oil has always appeared as a determinant factor in the major conflicts of the twentieth century. Today, the power of attraction of this black gold has remained intact and, despite some fears as to the maintenance of world production, the International Energy Agency (IEA), far from dampening down the crude oil fuelled flame, has again opened up the spigots, thus giving the US new impetus in its move towards the Pacific. The possibility that the US might be situated in the lead with regard to control of the hydrocarbons market has unquestionably given new impetus to its recent strategy in the Pacific where the People’s Republic of China (PRC) is advancing as the emerging power with the greatest potential for being a serious competitor for the US in its bid to take over world leadership. However, what would amount to a new order in the geo-economic domain would also bring in its wake an uncertain situation in other zones of the planet, for example certain areas of the Middle East whose stability depends, among other factors, on being able to maintain their share of the crude oil market. If these quotas underwent any substantial change, the social situation in the countries of the zone could be changed by the thrust of Islamism. In such an event Israel would be the most affected country. Furthermore, the spread of instability towards the Sahel in North Africa, where countries like France, Italy and Spain have commercial interests, would have repercussions in the European Union. Hence, after the collapse of the former Soviet bloc, and in an intercommunicated world where borders between countries seem to dissolve on the pages of old atlases, the shift of the US towards the Pacific means that Europe would have to take on responsibility for managing expansionist jihadism in nearby North Africa, which has tenuous borders as far as some of today’s Islamist leaders are concerned. Accordingly, in its strategic move towards the Pacific, the US should bear in mind not only the potential of shale gas and the significance of the new geostrategic scenario in the this area, but also such collateral factors as the situation of the struggle against Islamist terrorism after the ISAF withdrawal from Afghanistan; a post-Afghanistan NATO; Israel’s * relations with the US administration; and, finally, the lessons learned from history. From the time when the first oil gusher appeared in Pennsylvania (US) in 1861 through to the present-day practice of fracking, the history of hydrocarbon exploitation has gone through a series of phases in which the hegemony of American companies established the framework from the beginning. 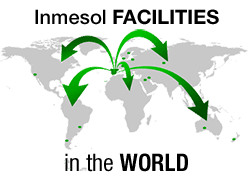 However, after the Second World War, the United States lost its influence over Middle East crude oil when the Arab world began to prevail in the oil market in the 1970s. Fig. 1. 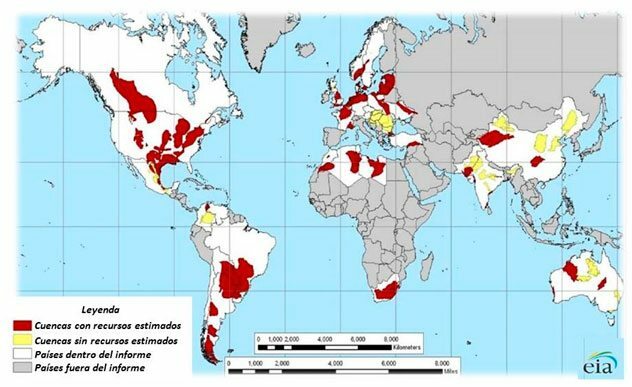 Estimated shale gas basins in 32 countries. Fig. 2. 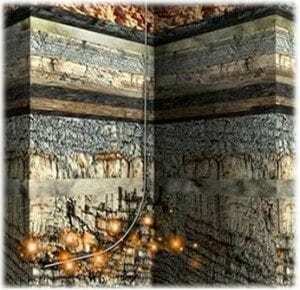 Shale gas is found trapped in rock formations at great depths. While not exempt of controversy as a result of the risks it involves, fracking could mean a new advance in crude oil production. As the conclusions of the aforementioned IEA study suggest and in view of the existing shale gas basins in the US and Canada (both members of the OECD and sharing one of the planet’s biggest shale gas reserves), it could help to make President Nixon’s dream of energy self-sufficiency for the United States  come true. With good reason, Daniel Yergin, author of Historia de petróleo, states that, at present, fracking accounts for thirty per cent of gas production in the United States and it is envisaged that it could be exported in about two years. Similarly, the oil company BP predicts that the US will be self-sufficient by 2030. For Faith Birol, chief economist at the IEA, “the foundations of the global energy system are shifting”. Although the consulting firm Deloitte noted in its study “Oil and Gas Reality Check 2012” that shale gas production is still far from being crucial, the oil companies exploring the reserves of this resource are quite rightly adding more weight to the western side of the balance when they take note of the presence of oil reserves in the OECD countries since political stability is a factor that attracts investors who are wary of countries in the Middle East and North Africa which are affected by increasing instability within their borders. Hence, a potential decrease in western investment would further escalate a possible situation of socioeconomic instability. Fig. 3. 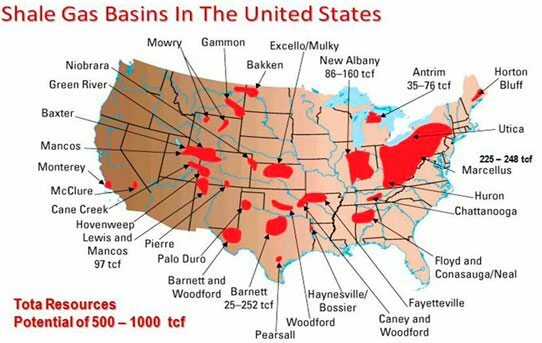 Shale gas basins in the United States. However, even if the neo-strategy is given new momentum by the fact that the US shares one of the planet’s biggest shale gas reserves (see Fig. 3) , China will strive to keep its Arab crude oil market by means of shipping routes. This means that both countries will need to be very attentive to their freedom of movement and action in the new scenario: the Pacific Ocean. YERGIN, Daniel (1992) LA HISTORIA DEL PETRÓLEO. “En las décadas de 1870 y 1880, la mitad de la producción americana se destinaba a la exportación, representando el queroseno un 25% del total de las exportaciones”. LUNA SIERRA, Emilio y GARCÍA SAN MIGUEL, Alberto Aparicio. Ingenieros de Minas. “Situación actual y perspectivas de los hidrocarburos no convencionales”. Presentación. Real Academia de Ingeniería. Disponible en: http://www.shalegasespana.es/es/index.php/prensa/blog/entry/el-fracking-visto-por-la-real-academia-de-ingenieria. [*] NOTE: The ideas expressed in Documentos de Opinión are the responsibility of authors and do not necessarily reflect the views of the IEEE or the Ministry of Defence.